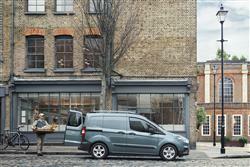 Like Wagon Wheels, Ford Transits have got smaller since their Seventies heyday. 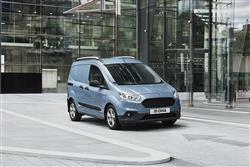 Jonathan Crouch takes a look at the improved version of the brand's Transit Courier city van. 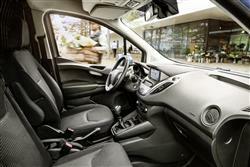 The Transit Courier delivers load volume of 2.3m3 with a standard full bulkhead and an overall length of 4.16 metres. Practicality highlights include the longest-in-class load length at floor level of 1.62 metres (100mm more than the competitive Nemo/Bipper/Fiorano design), the best in class access width through sliding rear side doors, a full-height, full-width steel bulkhead (glazed or unglazed) and full compliancy with DIN and ISO standards for load restraints. 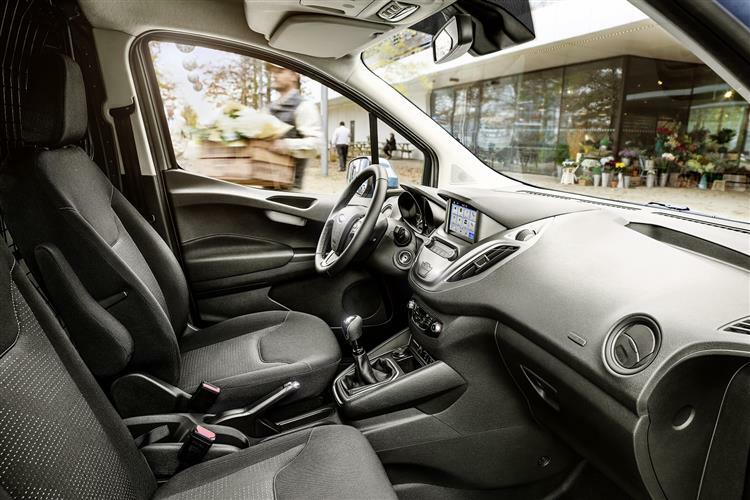 There's also an optional folding mesh bulkhead and an optional fold-dive passenger seat to accommodate extended length items, creating a class-leading total load length of 2.59 metres. Six cargo tie-down points, multiple pre-installed body side fixing points to mount racking or framework and optional ultra-bright LED load space lighting all highlight the Transit Courier's depth of design. 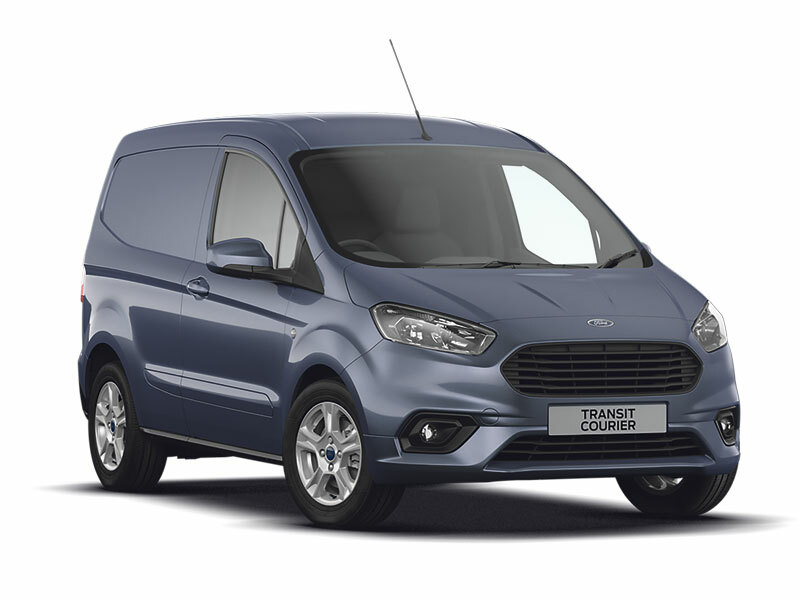 With a generous load volume and maximum payload capacity of 660kg, the Transit Courier can accommodate a wide variety of cargo and equipment, including a standard Euro pallet. Rugged bumpers and body side mouldings provide added protection and minimise repair costs. The cabin offers an ideal mobile-office environment, with smart stowage including a "mega-centre" console capable of storing A4 documents and small laptops. There's also overhead stowage and a storage drawer under the driver's seat. A device dock in the centre of the instrument panel enables occupants to store, mount and charge mobile devices, including phones and satnavs. Though start/stop is only optional, running costs are low, especially if you choose the 1.5-litre diesel, which manages 72.4mpg on the combined cycle and 104g/km of CO2. Service intervals are one year/20,000 miles. The city van market is booming. 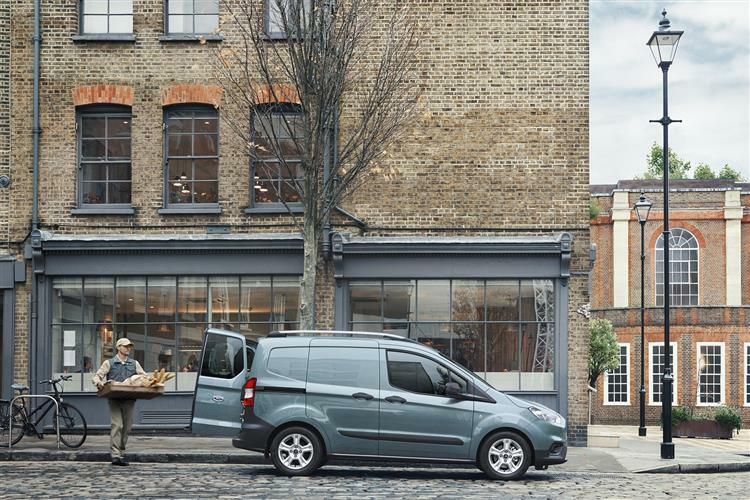 Small business have clued in to the fact that lightweight vans with low running costs and high practicality are the tools of choice for rapid order fulfilment in urban environments and Ford meets this need with its most compact van, the Transit Courier. Attractive styling, great engines and a whole lot of consideration poured into making a small van work like a big 'un has resulted in a strong package, especially in this revised, more efficient form. Buyers trust the Transit name and the Courier has usefully expanded the reach of this enduring LCV brand.